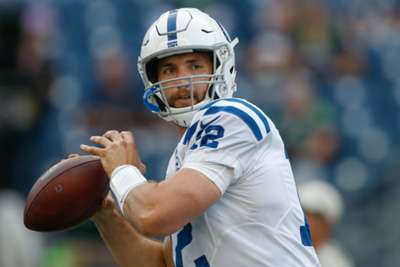 Indianapolis Colts quarterback Andrew Luck admitted to feeling "nervous" for his NFL return on Thursday night having not played in more than 19 months. 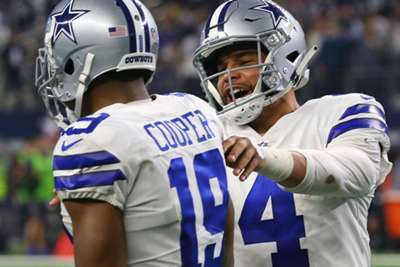 Luck, 28, who had been out since undergoing surgery to repair a torn labrum in January 2017, played just two series in the Colts' pre-season win against the Seattle Seahawks and completed six of nine passes for 64 yards. "I was excited, I was nervous," Luck told the Indianapolis Star. "It's just a pre-season game, but it's still a game. For a moment there, I was like, 'How do I approach it?' I was just trying to control my emotions. "Then I just said, 'screw it'. Whatever I want to think and feel, I'm going to feel it and it'll happen. And then the pressure was off of me in a sense." Luck was hit twice in his return, but he brushed it off as he claimed to be "most excited" about being knocked down. "I think there was a sense of, 'okay, get hit and get up and make sure you're not broken in half on the field'," Luck said. "It's probably the most excited I have been and will ever be for getting hit. We got that out of the way, so we're good." In June, Luck threw for the first time in months during the team's mandatory minicamp and Indianapolis have been optimistic he would be back to full health for the 2018 NFL season.